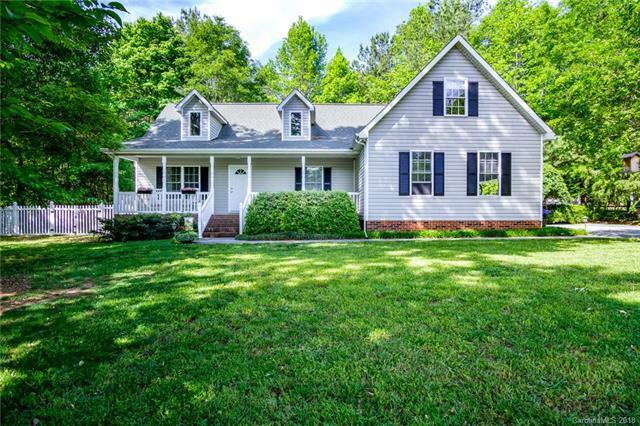 508 Wild Pine Lane, York, SC 29745 (#3387932) :: Robert Greene Real Estate, Inc.
Lovely quiet living on 1.14 acres. Great home for kids or grand kids! Ranch style home, located in a cul-de sac, on a crawlspace, 3 bedrooms on main level plus a bonus room over the garage. Kitchen was newly renovated including granite counter tops. Many rooms have been recently painted. Master bath has a garden tub and a separate shower. New luxury vinyl flooring. Covered front porch, screened side porch and decking on the back. Fenced back yard with a wonderful tree house. Peaceful gold fish pond feature. Lots of beautiful flowers, shrubs and trees and Clover Schools!